Enjoy contemporary elegance in this spacious Junior Suite with stunning river view. The room contains a big-sized bed and a work area, as well as the latest smart features including a 32-inch LED TV, a 50 Ltr. Small fridge with cold drinks, Wafers, Mineral Water and soft drinks. A tea set helps creates an authentic experience.Vitrified wood finishfloor. Deluxe Rooms at the S B Mount resorts are extremely moder gardeen rooms having modern interior and luxisirious suites. Embark on a unique culinary journey in the distinctive, contemporary atmosphere. Indulge in an evening of fine dining in the smart and sophisticated Restaurent next to river Silgarh.and enjoy a wide selection Indian food. It is a stylish space with comfortable chairs, the perfect place to hold a casual meeting, or simply to relax in with a good book and an aromatic coffee or tea. Most of the above you can Dine with stars with a small river flowing next to you. Places of interest around the city are Tip n Top Viewing (offers excellent views of surrounding shivaliks)The War Memorial, Santoshi Mata Temple, Regimental Museum (also called the Darwan Singh Sanghralaya), BhullaTaal, St. Mary's Church, Lover's lane. The excursions from the city are Tarkeshwar Mahadev temple, Bhairav Garhi temple, Bhimpakora.Lansdowne has many tourist places to visit, attractions in Lansdowne which are must see in Lansdowne. S.B.Mount Resort at Lansdowne Uttarakhand offers a truly private space comfort Ambience in professionally designed rooms. It is possibly the next Best thing to your home with adequate style, pet friendly atmosphere, comfort & space. 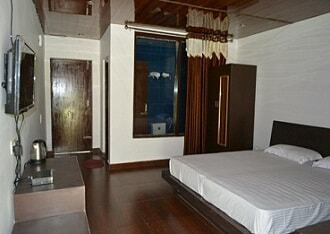 Rooms are exquisitely designed, conveniently located near the small River name Silgarh. Our one set of rooms are created and designed specifically for cost effective long stay. You will find the very best of design and comfort in the luxury abodes which have default potpourri of facilities. We are glad to present the best alternatives to expensive HOTEL rooms when you are travelling on work or pleasure. We can assure you a comfortable and enjoyable stay. We are proud to be one of the pet friendly hotels in lansdowne uttarakhand. Welcome to S.B.Mount Resort where stylish accommodations create a unique setting for leisure. Our Luxurious Hotel offers best comfort with all default collection of facilities and services and promises a wonderful and peaceful accommodation at best hotels in Lansdowne. 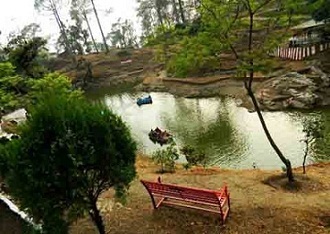 It is best place to stay in Uttarakhand for sightseeing and trekking. Lansdowne at an altitude of 1,706 m on a hillock is famous for its pristine Himalayan beauty, oak and pine forests, snow-covered peaks and lovely fresh air. Lansdowne is one of the quietest hill stations of India. 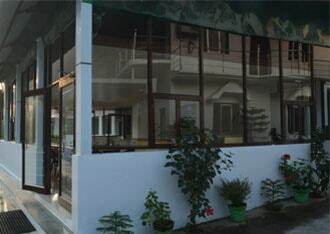 S B Mount Resort is an amazing hotel located in Lansdowne for visitors to stay comfortably. Lansdowne is unlike other hill stations as it is well connected with motorable roads but remote in its own way. 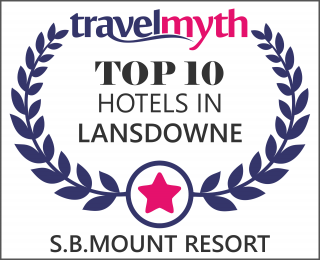 Lansdowne offers many resorts, self-catering villas and guest houses for a comfortable stay. How to reach Lansdowne.We are the only pet friendly hotels in lansdowne uttarakhand and thats why we are the best hotels in lansdowne. By Train Two trains run from Delhi to Kotdwara (Mussorie express and Garhwal express). From Kotdwara, a private cab Start from anywhere in India and reach Haridwar.You can reach our best hotels in lansdowne via road too. You can catch a bus from ISBT delhi. It takes approximately 7 hrs. to reach kotdwara and from there you can take a local jeep or bus to Lansdowne. You can take a taxi from the bus stand.